There’ll be music, there’ll be drinks and canapes, there’ll be discussion … and there’ll also be a PowerPoint presentation. Now don’t be like that. It’ll be informative and fun. Chris McNulty has written a book explaining a method specifically designed for vocalists that utilises tetrachords as a tool for integrating theory, ear training and improvisation. McNulty believes this technique helps provide empowerment and independence not just to vocal jazz musicians, but also to instrumentalists. Her book includes easy-to-follow templates that work across all 12 keys. Chris will present a 20-minute PowerPoint presentation followed by a short discussion and book signing. A little champers will accompany music from a trio of Kathleen Halloran (guitar), Flora Carbo (saxophone) and Claire Cross (bass). As McNulty puts it: “What better way to kick off the festive season than with a book launch event that’s all about vocal jazz, accompanied by a little champers and a little music. The event falls smack bang in the middle of the Melbourne Women’s International Jazz Festival, a two-week long event highlighting the artistic achievements and endeavours of women in jazz. PS: If you haven’t had a chance to hear Kathleen Halloran, Flora Carbo and Claire Cross, you should catch them at this book launch. As patrons of the MWIJF can tell you, these young women are delighting audiences. Australian-American jazz vocalist Chris McNulty is giving two back-to-back performances in Melbourne next month before embarking on a world tour. The award-winning singer/composer will introduce her new trio — Darrin Archer piano, Hiroki Finn Hoshino bass and Aaron McCoullough drums — to Melbourne audiences in two concerts at Melbourne’s newest jazz club, The Jazzlab. McNulty premiered her singing with the trio to great acclaim earlier this year at the Mansfield Art gallery now run by Miriam Zolin of extempore fame. Melbourne-born Ms McNulty moved to the United States in 1988 and has been a fixture on the New York jazz scene for almost three decades. She worked with American jazz musicians such as pianists Mulgrew Miller and John Hicks, saxophonists Gary Bartz and Gary Thomas, drummers Billy Hart, Kenny Washington, and Matt Wilson, guitarist Paul Bollenback, bassist Ugonna Okegwo . She featured on the Venus label’s recording Big Apple Voices in 1995 that presented six “new exceptional” vocal talents. Her seventh and latest album, Eternal, a chamber ensemble and jazz quintet collaboration reached #11 on the 80th Downbeat readers Poll in America. McNulty has often performed at international festivals. Her next tour will take her back to Europe, Russia and America. The American magazine Jazz Times has described her vocalising as “fearless” and her composing as “peerless”’. Britain’s Jazz Wise magazine said she possessed “a voice of serene beauty, striking veracity and compelling emotional fervency”. 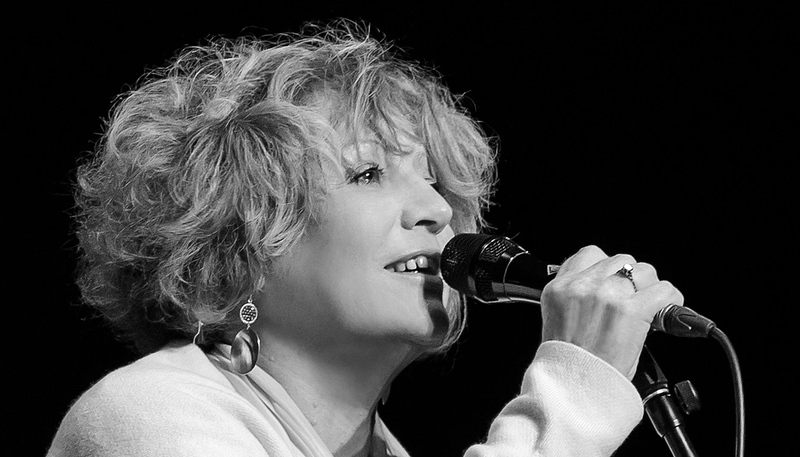 In 2013 McNulty received the Australian Jazz Bell award for the Best Australian Jazz Vocal Album for her album The Song That Sings You Here. Since moving back to Melbourne she has performed at the Perth Jazz Festival in 2014 and 2016, the Stonnington Jazz Festival in 2014 and 2016 and at the Wangaratta Festival of Jazz and Blues in 2013 and last year. She has continued her work as a teacher and is about to launch her groundbreaking book Vocalist As Complete Musician, in which she expounds a method (utilising tetra chords) for singers to expand their knowledge of jazz harmony and provides them with tools for improvising while improving sight reading and composing skills. The book will be launched internationally and available through Amazon, McNulty’s webpage, and digital platforms from August 30. Information above taken from material provided by Andra Jackson. “Chris McNulty wowed an audience full of rapt jazz lovers at Mansfield Art Gallery who were thrilled by the sounds of world-class jazz delivered by one of the best voices in the business. A well deserved standing ovation finished the night and every heart in the room was filled by the experience. Joe Hockey says the age of entitlement is over, but he is wrong. Over the next few weeks there will be no deficit of live improvised music in Melbourne and that is only fitting. As promises are broken and voters wake up to exactly what terrible things they initiated by voting to stop the boats, we are entitled to seek comfort in music. The winter season of jazz festivals is almost upon us and, in the absence of a jazz fringe festival this year, Stonnington Jazz — which last year was judged Best Cultural, Arts or Music Event in Victoria at the Australian Event Awards — is first up. If you’ve never been before, this showcase of 100 per cent Australian jazz (often including expat artists now living abroad) has two main venues, Malvern Town Hall and Chapel Off Chapel, plus a bunch of other bars and restaurants in the city. At the opening night, the town hall is tastefully decked out and guests can watch it all unfold while seated at tables and enjoying drinks and snacks from the bar at the rear. This year opening night on Thursday, May 15 will feature New York-based expatriate vocalist Chris McNulty — winner of the Bell Award for Best Jazz Vocal Album of 2013 — and singer, songwriter and pianist Sarah McKenzie, also now living in New York, who won the 2012 ARIA Award for her album Close Your Eyes. Stonnington Jazz this year will feature two concerts celebrating family connections in music. Popular multi-instrumentalist James Morrison will perform with his sons William and Harry in the James Morrison Inheritance on May 22 at Malvern Town Hall. And clarinet player Denis Ball will perform with his son, trumpeter Eugene, in a sextet at Chapel off Chapel at 2pm on May 18. Other drawcards will be much-loved vocalist Vince Jones performing with Monash University Jazz, an ensemble comprising students that features Rob Burke on sax and Paul Grabowsky on piano. Dance lovers will be energised by The Melbourne Rhythm Project, which brings together The New Sheiks and dancers led by Ramona Staffield. And for something completely different, pianist-singer-composer Martin Martini will presents his suite ‘Vienna 1913’ which draws inspiration from the art and lives of the major modernists of the time, such as Schiele, Klimpt, Koskoschka and Hoffmann. Lovers of traditional jazz will be given an opportunity to celebrate the 30th anniversary of The Syncopators in a special concert at Malvern Town Hall. That’s pretty much where the press release information finishes, although it does also mention that festival patron Allan Browne will be plying his drums with Sydney saxophonist Phil Noy and bassist Tamara Murphy at COC on May 22. It’s one of my predicted highlights, which this year are almost entirely chosen from the line-ups at Chapel Off Chapel — a real favourite place of mine to hear live music because it’s possible to get up close and personal with the music. Doug de Vries, on guitar, will feature in both sets of this night of Brazilian-influenced jazz. Tap your foot to 20 musicians in the first set, then enjoy the chance to hear father and son in a superb sextet. This celebration of the blues and gospel-influenced compositions of Charles Mingus will enthral and excite. Don’t miss it. Check out the power of the Rex brothers then enjoy a sack o’ woe from Cannonball Adderley, as interpreted by Tim Wilson and friends. Check out the compositions of young National Jazz Awards winner O’Connor on piano, then be prepared for whimsical humour and great expression from Al Browne, Phil Noy on reeds and Tamara Murphy on double bass. Saxophonist Mirko Guerrini’s project with guitarist Stephen Magnusson was a hit at Wangaratta last year, and whatever Grabowsky and Sydney vocalist Virna Sanzone create will be worth hearing. Always a hoot to enjoy the warm, wonderful vibe of this party sporting a Hammond B3. Expect this to be packed. Great line-up for the first set with Gianni Marinucci (trumpet, flugelhorn) and Steve Grant (cornet), Tony Gould (piano), Frank Di Sario (bass) and Danny Farrugia (drums). And then Alan Lee will reunite with old friends Gould, Derek Capewell (bass) and Ted Vining (drums). There are many more concerts to enjoy, including Bob Sedergreen and friends in a set after the Stonnington Youth Jazz Initiative on May 21. Think about it. Promises are being broken. Taxes are being raised. Retirements are being delayed. Renewable energy is being wound down. Global warming is being ignored. The ABC is being cut. The workforce is being casualised. My suggestion is to get out now and enjoy live music before the end of the world as we know it eventuates.